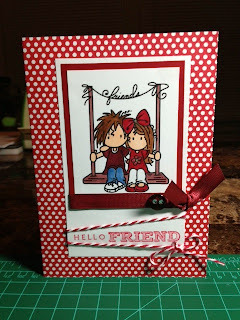 Stamping In Living Color: It's All About...Friendship! I love cards that depict "friendship" and the important bond between friends. 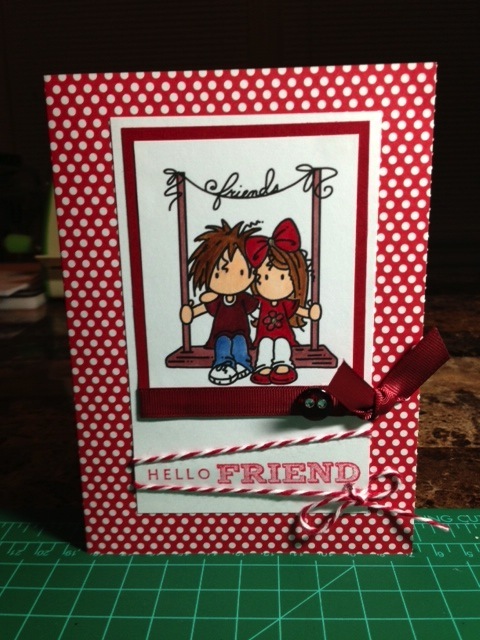 With my latest creation, two friends share a swing--something many of us enjoyed (as children) with our friends. I certainly did! When it came to choosing a color scheme, my choice was easy. 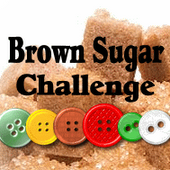 I wanted colors that personify the warmth and fullness that friendship generates. I hope I captured those attributes! (smile). It is my hope that my "friends" card will bring a smile to its recipient.